Sepia-toned image of a young woman dressed in a full, long white gown, gathered at the neck and belted at the waist, and with long, full, split sleeves. 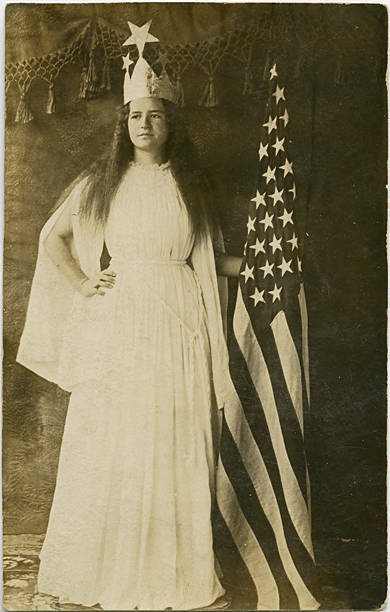 She holds a United States flag in one hand, and wears a crown with stars on each point. 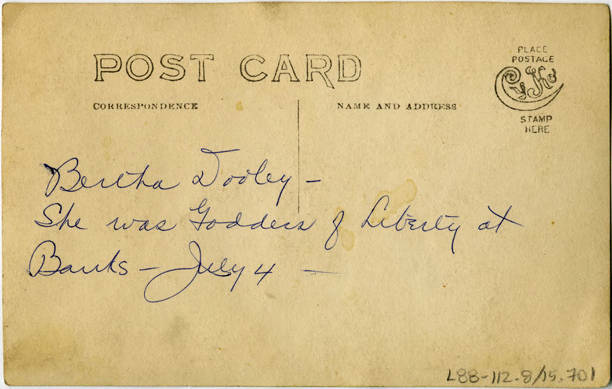 [back] [pen] Bertha Dooley -- She was Goddess of Liberty at Banks, July 4.